Janvor training offer onsite BLS training courses for Doctors and Dentists in Surrey and they can normally fit training in to suit your working schedule and they will help you stay compliant with you workplace basic life support training requirements. Janvor Training are located in Ashford/Staines (Middlesex) and is owned and managed by Trevor Fuller who has approximately 22 years experience in a variety of emergency services including Ambulance, Fire and Rescue and is currently still registered as a Paramedic. 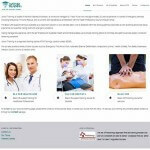 They offer onsite BLS training in Egham, Heathrow, Windsor, Richmond upon Thames, Teddington, Feltham, Hampton, Kingston upon Thames, Weybridge, Chertsey to name but a few places and the training provided is conducted in a fun and relaxed atmosphere. To see their website and the services that they can offer please follow this link: Onsite BLS Dentists Surrey.